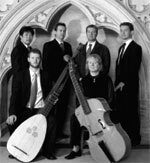 Recognized as ‘one of the classiest baroque bands’ (The Observer), whose ‘musical intuitions are always captivating’ (Goldberg), Charivari Agréable is ‘one of the most versatile Early Music groups around at the moment, which, under its benign director, Kah-Ming Ng, appears to be infinitely adaptable, finding musicians who can fit into any of its many and varied programmes’ (International Record Review). The group has been hailed for its ‘thinking musicians who treat music of the past more creatively’ via their arrangements of music, ‘based on a greater knowledge of the historical and social contexts for the music’. 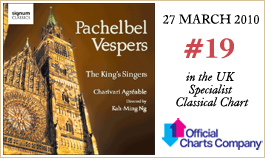 They represent ‘a new and very exciting phase of the early music revival, one that enriches the existing repertory and can bring us ever closer to the spirit of the original music’ (Gramophone). The ensemble specializes in the ingenious use of period instruments to produce ‘ravishing sonorities and full-bodied textures’ (Gramophone) with ‘their powerful cohesion, warm sound, and their eloquent authority’ (Diapason). The group has ‘carved something of a niche for itself in imaginative and well-thought-out programming’; ‘its work is the fruit of both scholarly research and charismatic musicianship, a combination that puts it at the forefront of period-instrument ensembles’ (BBC Music Magazine). With a chronological remit spanning epochs from the Renaissance to the early classical, this ‘idea-based’ ensemble appears in many guises, from a Tudor–Restoration domestic devotional vocal group, or an Elizabethan mixed consort, to a baroque orchestra, and many other surprising—yet historical—combinations. Charivari Agréable (trans. ‘pleasant tumult’, from Saint-Lambert’s 1707 treatise on accompaniment) was formed at the University of Oxford, and very soon after became a prize-winner of the Early Music Network Competition, made its debut at the Wigmore Hall, and recorded the first of many subsequent live concerts for the BBC, including Radio 3’s ‘In tune’, ‘Music Restor’d’, and ‘The Early Music Show’. Charivari Agréable has since recorded for New York’s WNYC, and many other European radio stations, including the European Broadcasting Union. Their discography has garnered such accolades as the Diapason d’Or, Gramophone Editor’s Choice, International Record Review’s ‘Best CD of the Year’, Classic FM’s Christmas Choice, BBC Music Magazine’s ‘Outstanding CD’, and MusicWeb International’s ‘Recording of the Year’. Ever innovative, the ensemble is sought after for private functions, ranging from weddings to dinner parties and special events. They have the knack of designing imaginative and bespoke entertainment for a wide spectrum of clients, from the numerous institutions within Oxford University, college rectors/fellows’ birthday parties, and corporate functions, to a variety of (academic and business) conferences; Charivari Agréable recently made a return visit for a New Year black-tie candlelit dinner for Duran Duran. Apart from hosting an annual summer festival of early music in Oxford, the ensemble regularly expands into Oxford’s resident period-instrument orchestra, Charivari Agréable Simfonie. The orchestra has on-going collaborations with over sixty vocal groups—choral societies and professional choirs alike—all over the UK, and has been conducted by many musicians of renown, including the late Sir Charles Mackerras. The ensemble has appeared at all prominent venues in London, even in Buckingham Palace.